Through our partnership with Retech we supply consumable casting furnaces for both aerospace and commercial applications, and offer customers a variety of equipment. To meet your individual requirements, we offer both single and multi chamber consumable casting furnaces, both of which can be equipped with centrifugal casting capabilities. Our single chamber systems combine melting and casting in a single vessel. 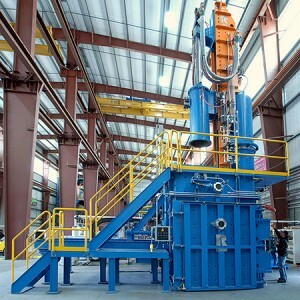 Multiple chamber systems permit casting removal and electrode replacement while maintaining melting chamber atmosphere.